MGM’s planned casino will have 3,000 slot machines and 75 gambling tables and a 250-room hotel. It will also include shops, restaurants, meeting and office space, residential apartments, a bowling alley and a cinema. So, it seems things are set for expansion in Springfield and everyone is happy, right? The people who approved gambling in the Bay state and those who oversee the expansion should be supportive. 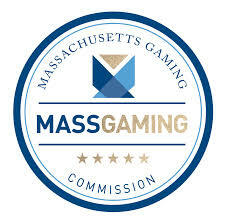 But, now that wheels are turning, Stephen Crosby, chairman of the Massachusetts Gaming Commission, has put MGM, as well as Wynnn and Plainridge Park, on notice concerning their forecasted state revenue. Mr. Crosby has warned them that competition from other states better not restrict that revenue. Making more pressure is that attorney general Maura Healey will be keeping a close eye on operations in Springfield with a special unit to watch MGM. That’s enough to make those in Springfield find a good Happy Hour and… Oh, that’s right, no Happy hour in ?Massachusetts. And no ATMS on the casino floor, and a $600 tax limit for jackpots, and no smoking in the casino, and……. This casino thing sure sounds like a great time…….yes, Sheldon Cooper, that’s sarcasm.